Hope everyone is having a very merry Christmas this season! Here's the card sample I made using the digi stamp by QKR "Ice Skating"
Are you having fun yet? I am so excited to share my creativity with you. We have tons of fun projects, challenges, features and surprises in store for you and I can't wait for you to be part of it! Christmas is almost here. My hubby and I started a tradition to buy our real tree on my birthday, but since my birthday falls on the same day as Scrapbooking Made Simple store having their Spellbinder Warehouse sale, We might move the tree shopping on Sunday instead. Part of the tradition once we got the tree we start decorating our home inside and out. Please comment when do you start decorating for Christmas? 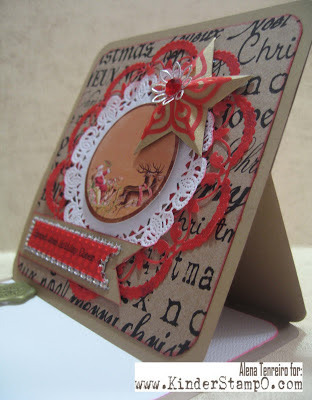 Now I will have to direct you to another challenge on Cards By Lady Anne -Sentimental Friday "Anything Goes" Challenge . This month's challenge is sponsored by LilyPinkscraps a $10 Gift certificate to winner. 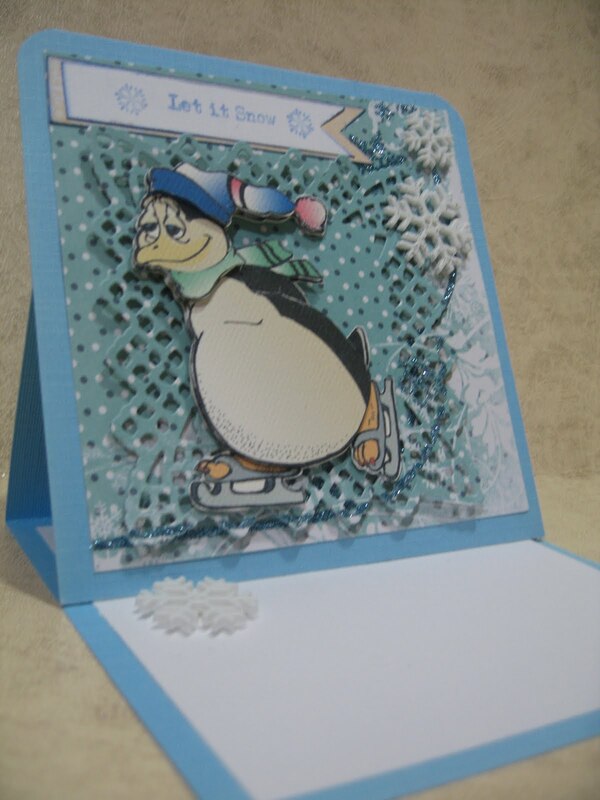 Below is the card I made using Lily stamp. Christmas is 27 days away. 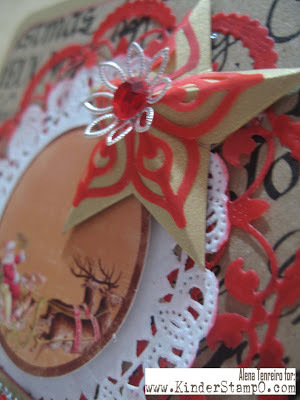 I am making my old time favorite miniature paper parols. My version of the parol is made out of paper. 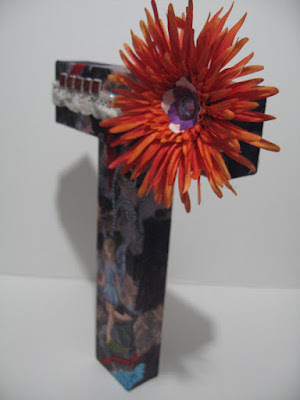 Using different pieces like punched daisy flowers, circles, stars, tissue paper all put together with glue and glue gun. Traditionally the parols are larger and have star shaped with bamboo frame sticks covered with colored Japanese paper or crepe paper and the most common form is a five-pointed star with two decorative "tails" made of tissue papers. Nowadays there are few more types of the parols made with capiz and with lights. More information I got from wikipedia. A Filipino paról vendor's stall, showing the myriad designs and colours available Nowadays, the materials range from plastic, shells, glass, beads, foil, feathers, hemp, leaves, seeds, soft drink straws, wood and even metal. 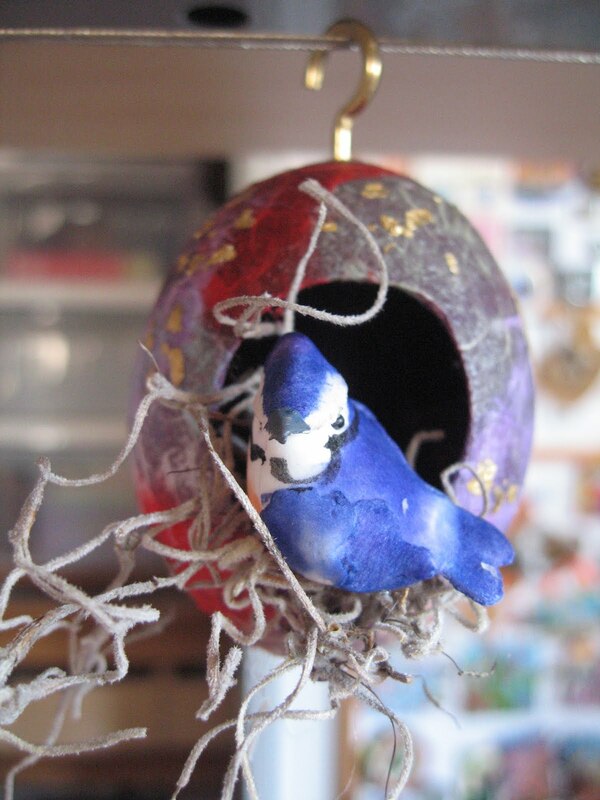 They usually comes in various sizes, from small, tinsel and foil lanterns to gigantic ones that are electrically lit at night, and may have one, three or more tails aside from the ubiquitous two. Some have a surrounding "halo" while the number of points may usually range from four to around ten (higher numbers are not unknown). As for stellate patterns, more complex shapes that are seen are the rose, the bromeliad, the snowflake and the sea urchin. Other designs aside from the common stellate pattern include that of angels, huge flowers, Santa Claus's face, reindeer, happy faces, and Christmas trees, among other Western holiday symbols. Recently, innovations from Pampanga include production of lanterns with electronic lights that can be programmed to produce a dancing effect, as is the use of LED rope lights, known as "flexilight" lanterns. The original stellate design of the paról remains common in the Philippines and considered distinct for Filipinos. The traditional craft of lantern-making is usually taught to schoolchildren around Christmastime, but actual manufacture is now primarily done in the barrios and the poblacions and is rarely done in urban areas. A notable exception is Parañaque, a city in Metro Manila, which has the largest paról-making industry in the Philippines, and San Fernando, Pampanga, where a lot of paróls also originate. I love the new Graphic 45 papers. I decided to join this challenge. 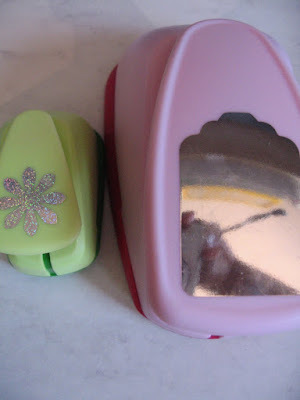 I used an old picture frame that I have that is a shadow box and a mini drawer for jewelry. If wanna join in too, go ahead it's on until October 31st. Just go to Graphic 45 October Challenge Link. Thanks Berni for your encouragement and for letting me know about this challenge. 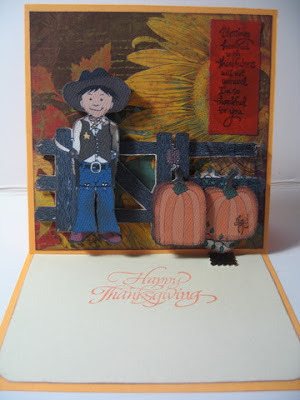 I used a few different Halloween cardstocks by DCWV, Martha Stewart, MME. 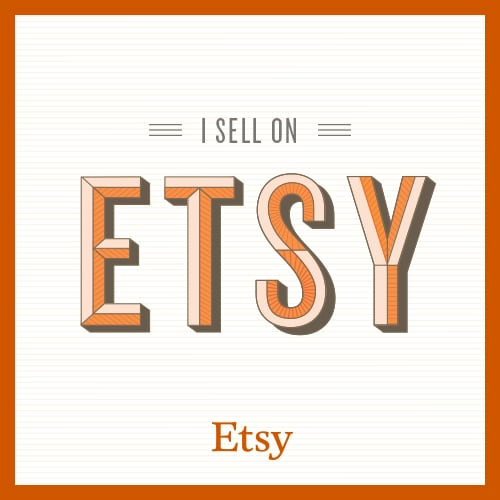 The circle dies are made with Spellbinder's Nestabilities lacey circle die and two of Martha Stewart's Halloween punches, the drippy goo edge punch and scary fence edge punch. 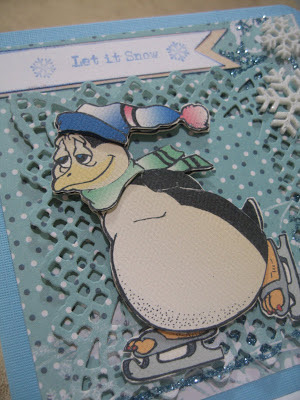 The stamp I used is from Stampendous, colored it in using Purple from Studio G Sparkle Writer and Yellow 3D Foam paint. Last but not the least is the sentiment which I have no idea who made it since I got it from a Scrapbook yard sale. 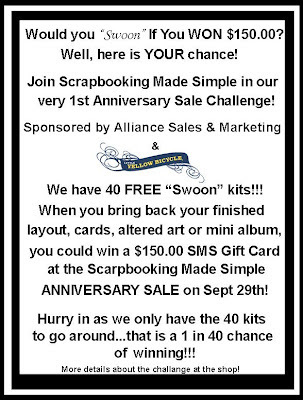 Here's what I submitted to Scrapbooking Made Simple's First Anniversary Sale Challenge. I altered a 12 x 12 Wooden Photo Frame. I used about 90% of the Yellow Bicycle Swoon Kit. I used chipboard and duct tape to make the shadow box and cut a hole to fit a battery operated tea light.For the colors I used Tim Holtz Inks and a little bit of the Inka Gold (India Gold) on the embossed frame that you see on the lower right of the frame. 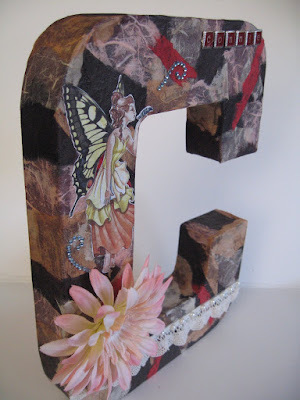 The additional embellishments are from Jolee's 3D stickers with some bling and lace ribbons. Here's the up close picture of the entry. 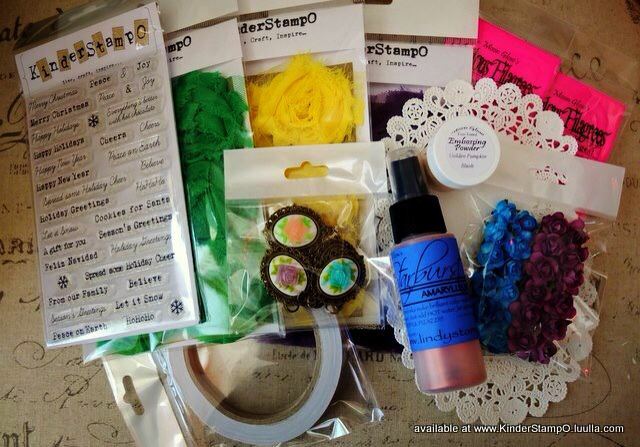 I had a great time today at Scrapbooking Made Simple. They had so many freebies, love the free make'n take. Had lunch with new friends. 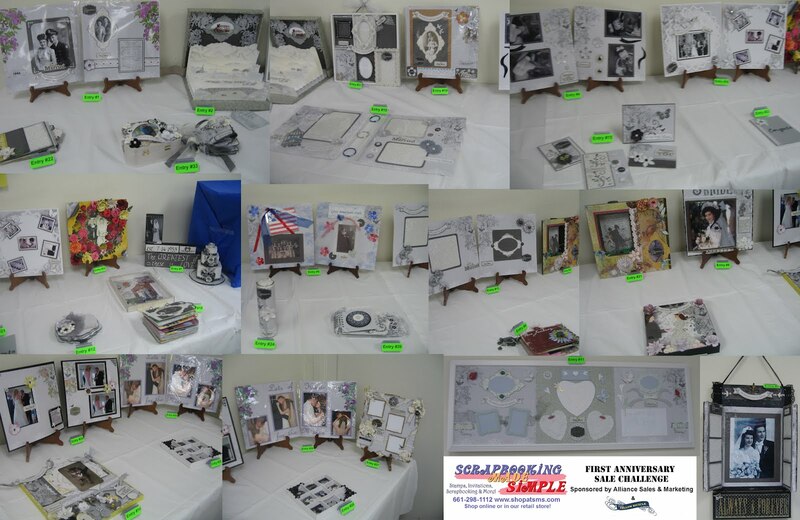 Below is the collage of 33 entries for the SMS 1st Anniversary Sale Challenge. I will update you once the votes are tallied and announced. Happy Friday to you all. 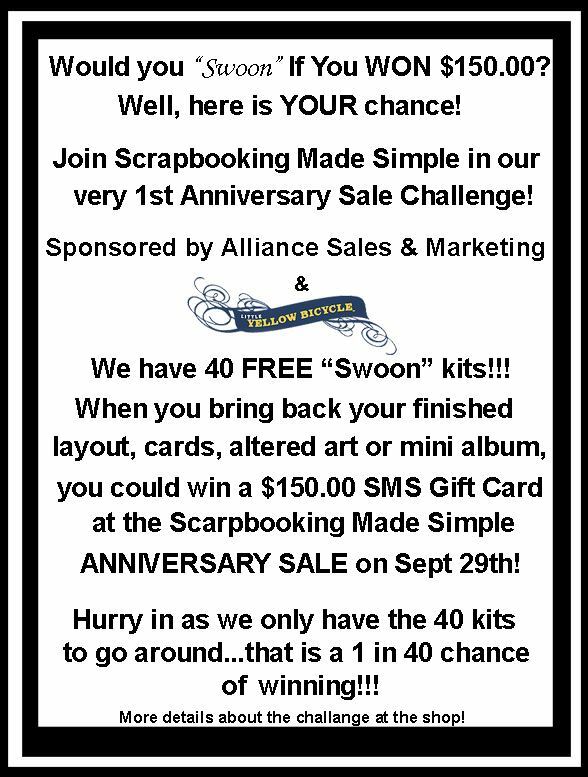 I am so excited, tomorrow I will join a contest sponsored Alliance Sales & Marketing at my favorite local store Scrapbooking Made Simple. SMS is celebrating their 6th year anniversary and they have a lot of sales and some free goodies this Saturday, September 29th. What's the contest about? All I have to do is use the free Swoon Kits they provided, we can do whatever we want with the kit as long as we use atleast 50% of the contents of the kit. 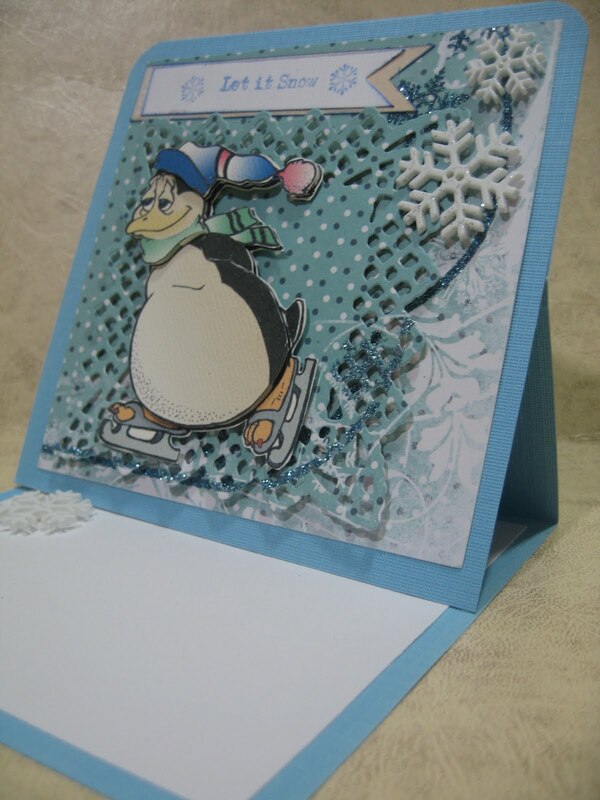 We can create a layout, card, altered art or a mini album. The grand price is $150 SMS Gift card. There are 40 people competing so wish me luck. I will show you pictures after the event. Hello everyone, I am probably the worst blogger online because I hardly do blog. Here's what I am gonna try to do is to blog at least once a month with a tip on cardmaking, scrapbooking or any other paper crafts I am on the current month, it maybe my own idea or others which I will give credit to whoever I got the idea from. 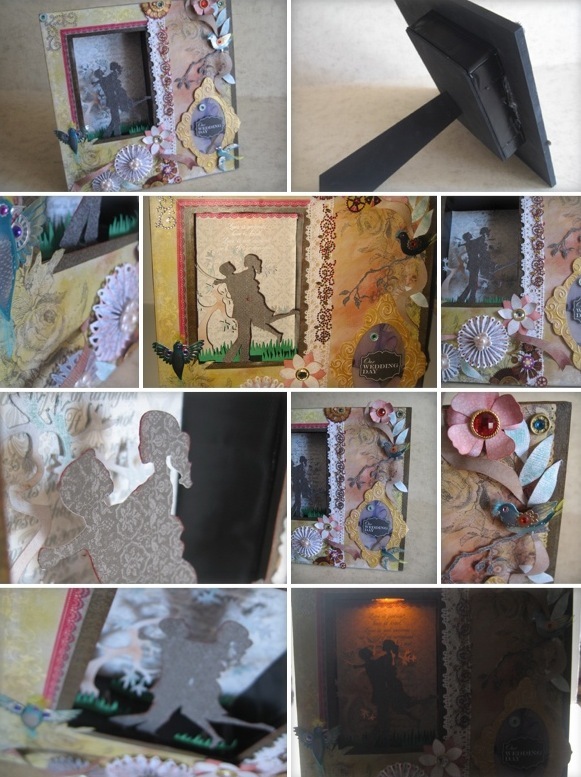 This month I have the pleasure again on making stuff for a friend's wedding. One of them is confetti, which I made from the scraps from the other projects I made for the wedding. Punching so many times can be uncomfortable on most paper punches. I found a way to make it a little comfortable for me by adding adhesive foam to the paper punch. I was able to do this to the mini punches by Recollections and the Marvy Uchida punches that I have. Won't you agree that most of us punches with the puncher upside down. All you need is a sheet of foam with adhesive. I happen to have some scraps from my previous projects. Cut a piece of the foam and slightly pressed the foam to bottom of the punch so that it will leave an impression. Do the impression of the foam twice you will need two so it will be thick enough for better comfort. Cut the foam out first cut inside the impression line and the second cut outside of the impression line. Peel and stick the foam to the bottom of the paper punch. This will work on any sizes of paper punches that has the same shape, Recollections and Marvy Uchida. 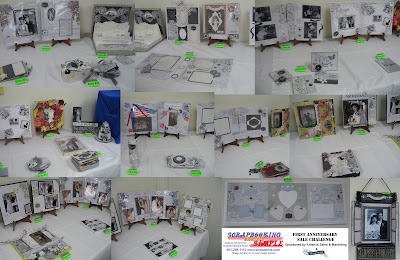 I am getting ready for a Garage Sale that I am participating this March 24th at my favorite store Scrapbooking Made Simple. Going over my craft stuff is hard, especially when most of the items I seem to wanna keep. I had to convince myself that the items I will be able to sell during the garage sale will give me new stuff. So I am able to fill up 2 boxes with items just collecting dusts. I hope it will find a new home that will put them to use. Another thing that I liked about going over my stuff is that I find items that has been on my todo projects in years but never did anything with them. For example the small gourds that I bought years ago at a gourd farm that my friend took me to. I started working on them yesterday. I love how they turned out. 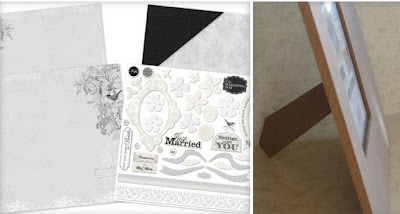 I have been eyeing on this scrapbook paper at our local Beverly's store. I bought the last 10 of this paper last leap day. I have been in an accordion fold frenzy, so I made more with this paper to add to my etsy shop. Still need to add few embellishments. As you can see I added a touch of printed vellum on the wedding dress. One the left side of the card, planning to add a Wedding poem that I found on the internet. 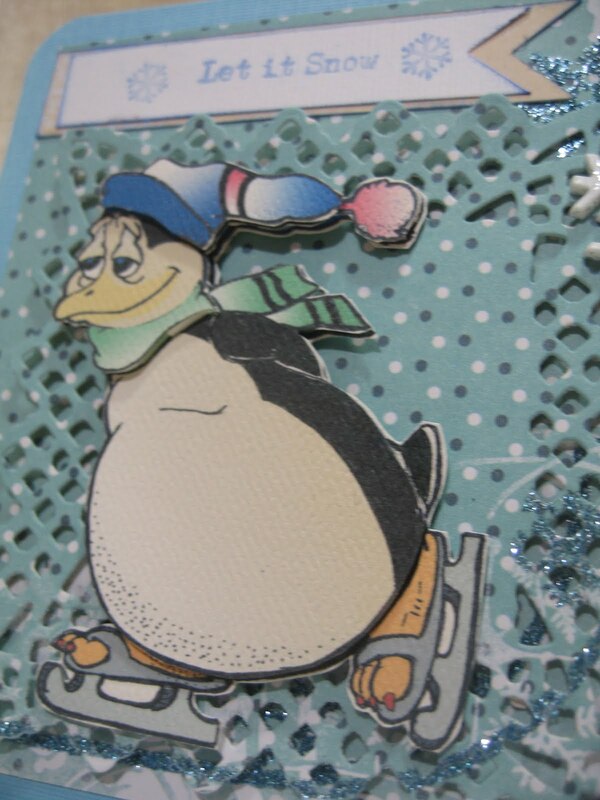 Also I'm thinking of adding a Congratulations stamp on the lower left part of the card. 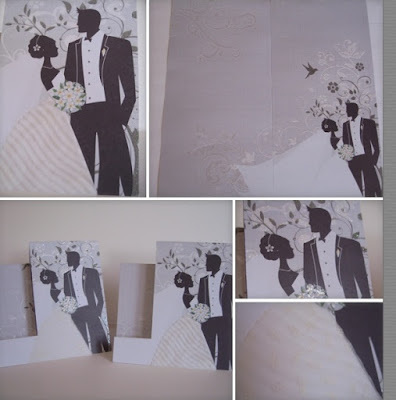 Will have a touch of different color based on the wedding motif. One of my favorite thing to do is to decoupage. Here's one I made for my etsy store. 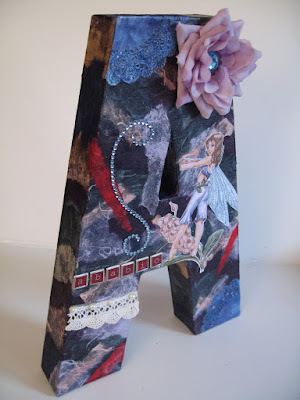 The letters are about 9 inches tall.